Quality Landscaping Products That Make a Difference! Only the best landscaping materials will allow your yard to thrive. If lush green grass, vibrant flowers, and flourishing gardens are what you are looking for, Pete's Landscape & Supply has everything you need. 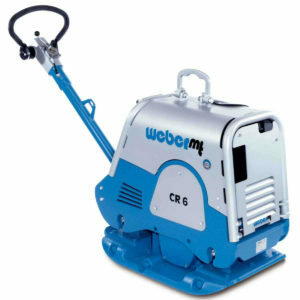 We carry a wide variety of landscaping products and have the knowledge and experience to back it up. We are here to help you, the avid DIYer, homeowner, professional landscaper or enthusiast with all of your landscape needs. Pete's Landscape & supply is also where the professional landscapers go to supply their customers with the best Mulch, Loam, Gravel and more. So stop on by, give us a call ,or send us an email to find out how we can make your yard look its best! Pete's Landscape & Supply provides landscaping products and services to a wide range of commercial and residential properties in the central Bangor, Maine area. 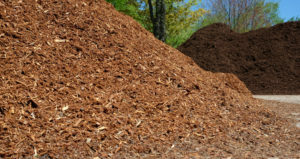 We offer several varieties of Maine Mulch, including Hemlock(slight red color) as well as Dark Aged Mulch (traditional dark color) Many different types of aggregate are offered such as river rock and crushed stone. 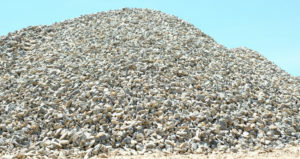 We deliver various sized Crushed Stone, River Rock, Gravel and More to Bangor, Hermon, Hampden, Levant, Maine. We will deliver mulch right to your door yard. Delivery available in surrounding Bangor area! Pete’s Landscape & Supply is a family-owned and operated landscaping supply yard in Bangor, Maine. We provide only the best mulch, loam, gravel, crushed stone and other landscaping materials for pick up or delivery. When you choose Pete's Landscape & Supply, you are working with a local company with over 15 years of experience in the landscaping industry. We believe it is important that your investment stays local and helps builds our community. Pete's Landscape & Supply is invested in the Bangor, Maine community and takes every opportunity to give back. Give us a call, or stop by today to see how we can help you complete that landscaping project in record time! I contacted several local vendors and was pleased with the customer service and attention to detail when I spoke with the folks at Pete's Landscape & Supply. After a brief conversation to determine what products were best for my situation, they promptly delivered the materials with a smile. Ordered dark mulch with their Yard to Yard system. It worked perfect for me and allowed me to keep the mulch dry until the weather cleared up.